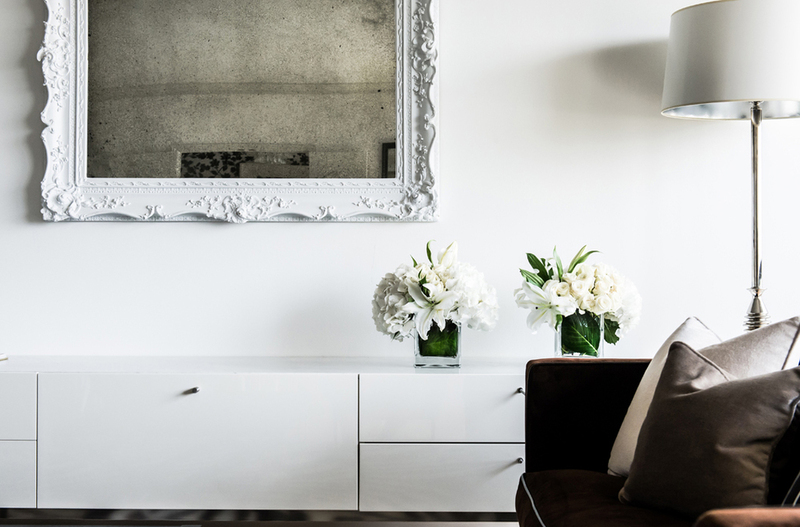 Interiors: Black, White, and Whimsical — Sukio Design Co. 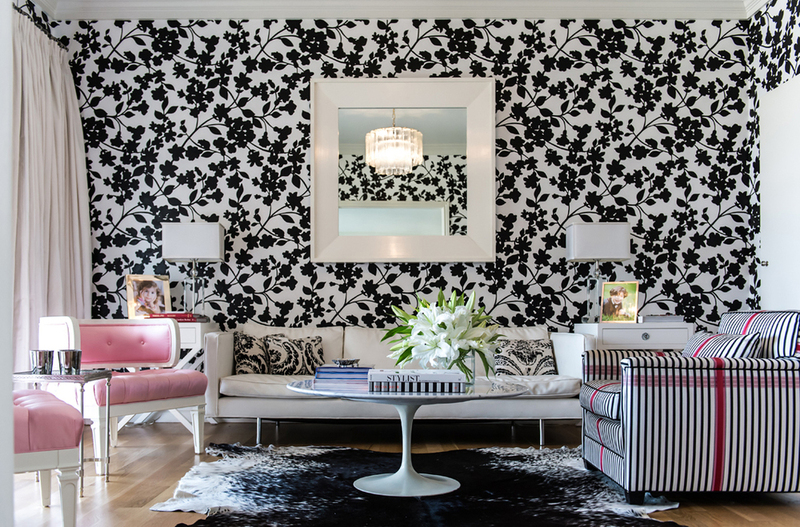 Designer Janet Rice’s Dallas home proves that you don’t need a lot of color to make an impact. 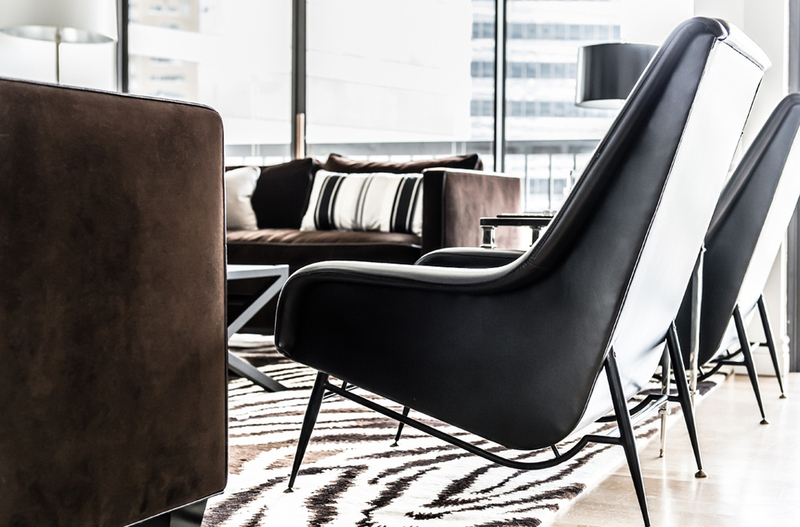 With a minimalist palette of black and white, Janet uses shape, texture, and pattern to add interest to her living space. In the living room area, Janet opted for modern pieces including tailored brown sofas and a white buffet by Ligne Roset. The zebra-patterned rug is by Diane Von Furstenberg for the Rug Company. The dining area mixes old with new. Janet reupholstered her grandmother’s chairs and paired them with a black granite and lucite table. Custom doors lead to the family room beyond. A hand-painted leaf motif adds whimsy to the family room. The occasional chairs are from Janet’s collection and include the JRR Club Chair and Jayne’s Chair, a pink tufted piece named for the designer’s young daughter.